This area has been developed to provide our customers with the ability to access their information securely, easily and efficiently. Client Portal is powered by Nimbus Portal. Nimbus portal is a secure site, based in Australia, that allows us to give our customers secure access to their files, no matter where they are, provided they have internet access. It also gives our customers the ability to share and upload key files with both us and other interested parties, via secure links should this ever be necessary. In the current age of information technology and digital theft, we need to remember that email is not a secure service, so you should never send private or personal information to anyone in this way. Should anyone ever ask you to, you should immediately be suspicious of their intentions and find a safer way of doing so if this is genuinely required. Most legitimate organizations will use secure sites and portals for this purpose. Should you ever need to send us a document quickly and securely, uploading it, using our Client Portal system is the way go. Our Client Portal system will automatically generate an email to let us know that you have uploaded a new document and will also let you know whenever we upload a new document for you. Bronwyn and the UNIQsol team take genuine interest in us not only as their clients but as a family. Bron regularly visits our farm and is very hands on she even got dirt under her fingernails which weappreciated. Over the last few years it has been very beneficial to have a mediator between our entities and partners looking in with new ideas to help us improve our business. Bronwyn takes a keen interest in assisting us with our succession planning and business development, she has helped us plan for our future along with partnering with our children to also help them plan for their futures. We really enjoyed having Bronwyn come to our property and stay with us. She takes a real interest in her clients & their businesses. We appreciated talking figures and having an outsider looking in allowing us to think differently about our business. I enjoyed talking to Bronwyn about life in general, she has a wonderful attitude to life. A special thank you to Bronwyn and the team at UNIQsol. Six months ago I was thinking of a career change and closing my existing business. Through participating in the Business Development program, I have been able to re-invent my existing business. The program has allowed me to rediscover my love for my work, and focus on ways of creating business clients in areas I had never thought possible. Each monthly session with Bronwyn has assisted me with goal setting and time management while also holding me accountable for each of these actions. Having the structured Fixed Price Agreement has allowed me to budget more easily. Understanding this has created a feeling of security for myself and confidence in my business. 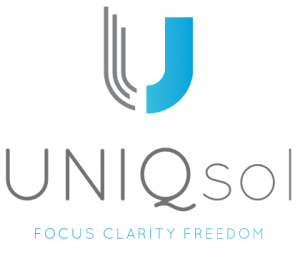 Looking for a new business Accountant and was referred to UNIQsol in Pialba, met with Bronwyn for a consultation to see if her business was up to shape. Very impressed they know there stuff and good old fashion sensible advise. If looking for an Accounting firm that you can grow into with out the big price tags look them up, I am very impressed! They are awesome, the important things are put simply so that you can understand them and the advice you get is top notch! !